Families sometimes need to assist their older loved ones with deciding whether they should age in place with in-home care or find a new, permanent home in a nursing home. It’s sometimes a tough conversation and decision to make. 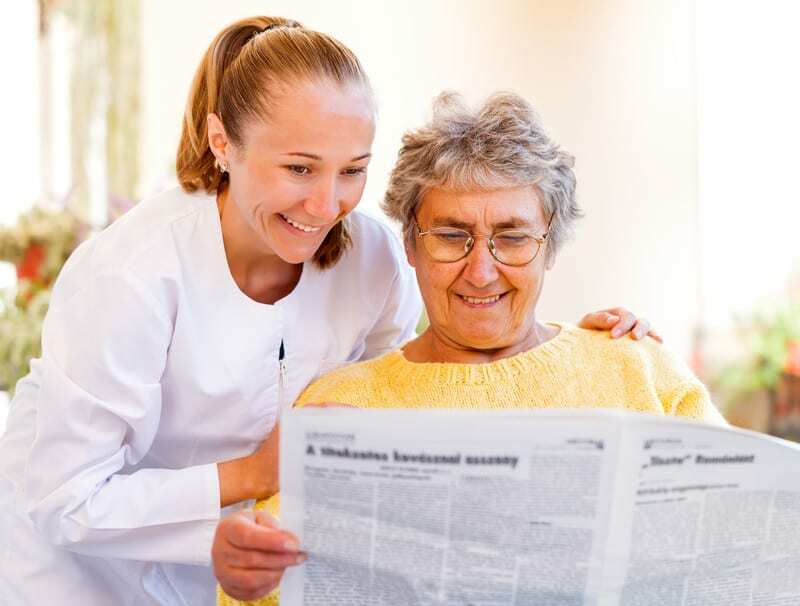 Why Choose In-Home Care Services over Nursing Homes? Fortunately, there are options that are somewhere in the middle of fully independent living and long-term, or permanent care, in a nursing home. It’s almost always the aging adult’s preference to stay in his or her comfortable and familiar surroundings, especially considering that some seniors may have lived in the same house for 20, 30, or more years. Staying at home brings a sense of comfort that cannot be duplicated elsewhere. Just having their sentimental items around that have memories attached to them can bring a sense of peace to seniors. In a practical sense, continuing in one’s own house with in-home care allows a greater safety, since the senior knows all the details of the house. He or she would already be familiar with walls, floors, corners and even the placement of furniture. The cozy sounds of home cannot compare to the noises from medical machines and alarms from patient call cords in a nursing home. If constant medical care is necessary, skilled nursing facilities may be best. However, constant care may be more than what is actually needed, and constant care may even feel smothering to some people. If someone is still capable of many things on their own, only a few hours of in-home care per day may be needed. A caregiver helping a few hours daily with household tasks and providing social interaction can be adequate. This maintenance of independence provides a priceless benefit to mental and emotional health, and may even prevent the onset of dementia. Even aging adults who want or need small amounts of care benefit from a caring one-on-one relationship. Nursing home staff, are spread thin with a high quantity of patients, always bordering too many. Alternately, in-home care can provide ample time to the patient, or even as much as desired, creating an emotional bond. Contact Concierge Care at 888-205-9940 to learn more about how in-home care can offer more options to you and your loved ones!